In Kerala, 700 People Worked 70 Days to Revive a River Considered 'Dead' for over a Decade! In Kerala, 700 People Worked 70 Days to Revive a River Considered ‘Dead’ for over a Decade! The operation, involved 700 labourers including men and women from Budhanoor panchayat, who were employed for the task under the MGNREGA scheme. Did you think it was possible to bring back a river declared ‘dead’ for almost ten years? Well, a gram panchayat in Kerala has just achieved the feat of resuscitating a dead river, back into full flow! Kuttemperoor river, after being subjected to years of severe pollution and illegal sand mining, had almost vanished into obscurity until last year, when an initiative vehemently led by the Budhanoor gram panchayat in Alappuzha district did the unimaginable! The river, which is a tributary for both Pamba and Achankovil rivers, was once known to be close to 12km in length and almost 100m in width, and had been the source of drinking water for the residents of Budhanoor. Apart from providing irrigation for acres of paddy fields, the river had also been a route that was used by local traders for transporting their goods. Interestingly, the river has donned the savior role many times during the monsoons when Pamba and Achankovil rivers overflowed, by taking in the excess water and thus thwarting floods at different places. “The plan for the river resuscitation had been going on for many years but nothing was solidifying into a real plan of action. It was only in November last year that the river cleaning drive materialized into reality,” says Reshmi Priya, who is the head clerk at Budhanoor panchayat office. Citing Vishwambhara Panicker, the panchayat president, as being the driving force behind the initiative, Reshmi also mentioned that the state of the river before its restoration was one of beyond pity. Boats got stuck thanks to excessive weeds that grew out of pollutants, and it had reportedly gotten so bad that once, firefighters had to be called in to rescue the travellers out of the river. The operation involved 700 labourers, including men and women from all the 14 wards under the Budhanoor panchayat, who were employed for the task under the MGNREGA scheme. And over a period of 70 days, these workers put their heart and soul to save the river. The process started with getting out the waterweeds that had been restricting all kinds of movement in the river and of the river. Once this was done, the workers started removing the plastic waste. Finally, they reached the bottom of the river, where thick solid waste had been accumulating over the years. “It was not an easy task and at times had been dangerous too. It indeed was a mammoth task to clear years of waste that consisted of sewage, plastic waste and clay sediments,” Reshmi adds. The terrain that had once housed the Kuttemperoor river, and had made way for stagnant pools of shallow water, slowly started letting in fresh water and started moving further within a month and half deep into the process. “The extent of joy we felt when a boat took people for tour after the revival of the river is something we can’t explain. A river that didn’t even have enough water to be called by the name, it was an impossible dream transformed into reality,” Reshmi says. The herculean task was put to an end on March 20 this year, when the water had finally become clear with a proper current flow in action. “Surprisingly, even the water levels have started rising in the region after the project completion. The wells have more water in them than previously observed”, she adds. Though the river water had been the source for drinking water in the olden days, the people in Budhanoor are still wary about using it currently, never forgetting the years of abuse that the river had been through. However, with the successful revival of the river, they’re sure that as time passes by, that will happen too! 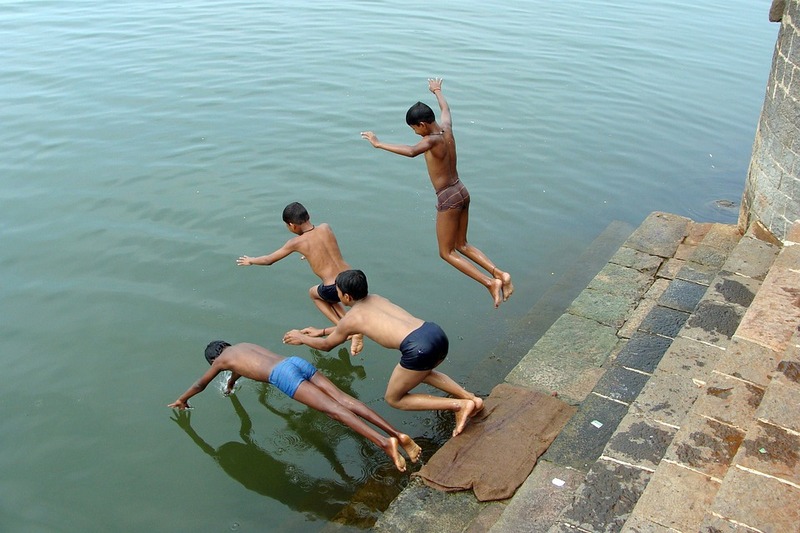 “People have started using the river water for bathing and washing purposes. We hope that the river water will very soon become fit for drinking too!” Reshmi said. To contact Budhanoor GP office, click here.